Are they #FamilyGoals or what? Singer Pink is on hand at the 2017 MTV Video Music Awards tonight to receive the Vanguard Award, which is essentially a lifetime achievement award. She fully deserves it, but she also fully deserves an award for walking the red carpet with her husband and daughter in matching suits. 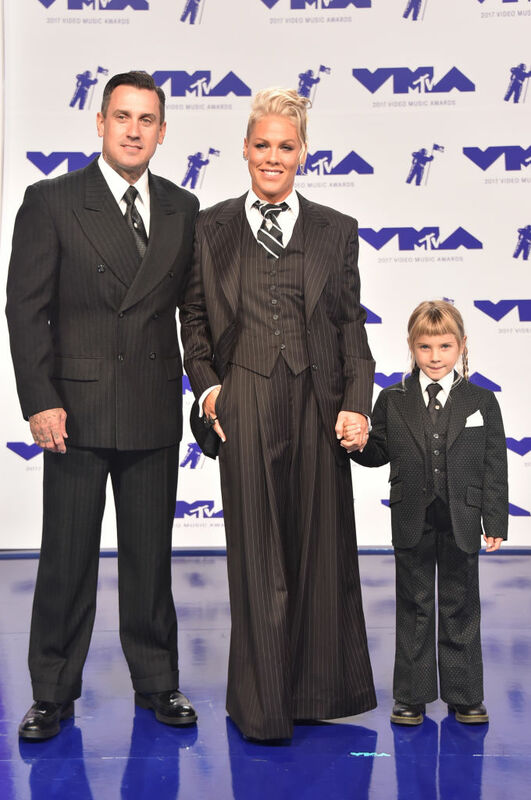 Pink, Carey Hart, and daughter Willow Sage Hart could not be cooler in their family of matching pinstripes. Actually, little Willow is in polka dots. How cute! 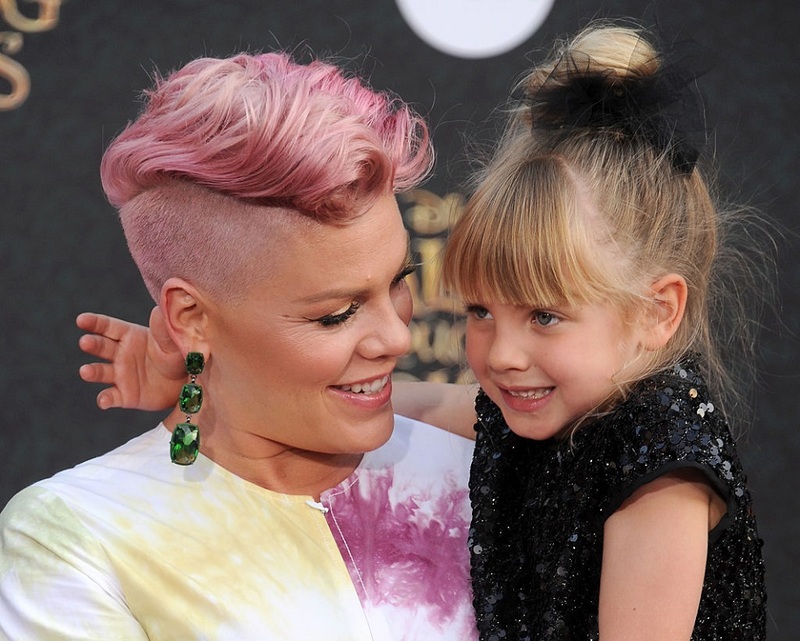 When Pink first descended on the carpet, we thought, “Oh cool, a suit.” Then when she revealed her husband and daughter, we were like . However, tonight is more special than any other VMA she’s attended in the past. Unfortunately, it’s not the WHOLE family. Her seven-month old son Jameson had to stay home. Congrats Pink on the Vanguard Award, and congrats to the entire Pink brood for being sartorial geniuses.